Who you trust to take care of your roof replacement project spells will determine whether or not you make the most of getting a new roof. You will definitely not lack choices but not all roofers can offer the same level of quality and customer service. As such, taking the time to look for a roofing contractor will be to your benefit. After all, it’s not everyday that you get a new roof. You should start your search with local roofing contractors because they’ll have first-hand knowledge of the challenges homes in your area face, putting them in the best spot to recommend roofing options for you. As a part of the community, a local roofer will also greatly care about their reputation, helping ensure you are provided with exemplary customer service. Licensed – A license helps guarantee you’re working with a legitimate business and that your contractor has met standards set by the roofing industry. 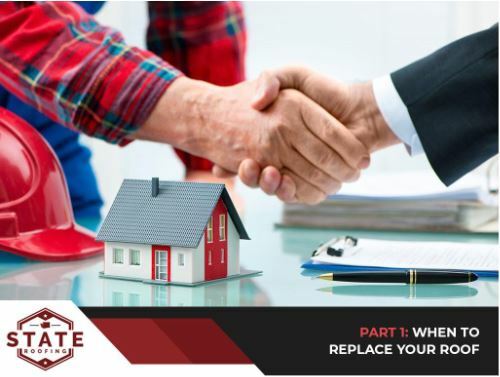 Experienced – You want a capable roofer to take care of your replacement project and years of experience can give you that. The more years they have under their belt, the better. Insured – A reputable roofing contractor will take all measures to ensure your roof replacement goes off without a hitch, but, in the event something untoward occurs, insurance coverage will protect you from damages and liability. Ideally, your roofer should also carry worker’s compensation insurance. Certified – Top manufacturers in the roofing industry have stringent standards in place, so certification highlights a roofing contractor’s commitment to quality and ongoing education, all to make sure you have access to the best products and installation techniques around. With a licensed, experienced, insured and certified local roofer by your side, you’re sure to make the most of your roof replacement.